Donna's Crafty Place: Mixed Media Monthly Challenge #25 - 2nd Anniversary! Mixed Media Monthly Challenge #25 - 2nd Anniversary! It's time for another challenge over at The Mixed Media Monthly Challenge. This month we are celebrating our 2nd Anniversary!! Our theme is to pick any of our challenge themes over the last year. Our sponsor is The Funkie Junkie Boutique. They are offering a $25 gift certificate for our random winner and some more fun prizes will available throughout the month!! They are also having a sale until June 15. Check it out!! For my project, I chose the "Butterflies and Blooms" theme again. 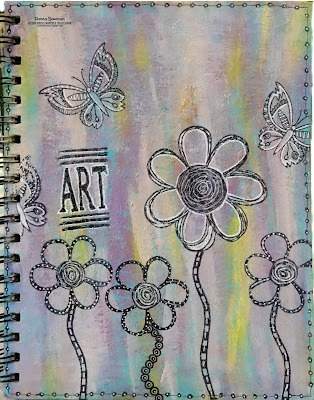 I used PaperArtsy paints, crackle glaze, stamps, Ranger Archival Black Ink, Design Memory Craft Pitt Pens, and the Dylusions white pen. I decorated an art journal cover. 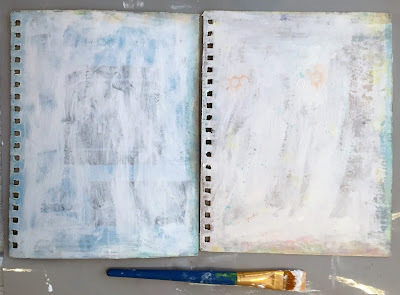 I started off covering both sides with two coats of IndigoBlu gesso. 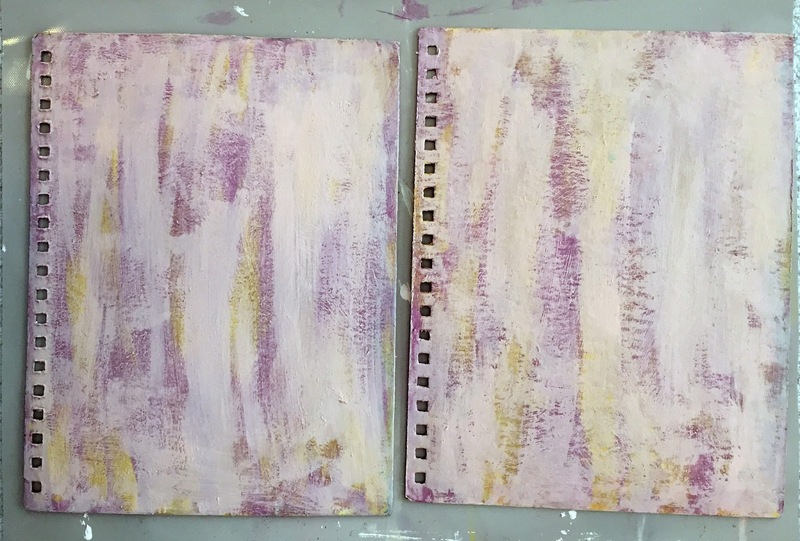 I roughly painted several layers with Blush, Sour Grapes, and Zesty Zing. After I painted several coats of different color paints, I decided I wasn't in love with it so I added a layer of Carribean sea and started over with the same colors. This is the final background with Crackle Glaze. To finish it off I added some PaperArtsy Crackle Glaze. I wanted some more of the blue to show through. It takes a while to crackle (at least over night). You have to remember is the amount of paint that determines how much crackling it will do, not how much crackle glaze you put on it. To decorate on the background I stamped PaperArtsy stamps with black Ranger archival ink. I didn't know if the ink would stick to the crackle glaze, but it did - no smearing!! After stamping I added some doodling with my black and white pens. Be sure to check out the blog for more inspiration from our awesome designers. Thanks for stopping by. Great work ! Lovely colors ! A lovely background for your blooms! A really lovely background. I must try out crackle glaze! Your background is so lovely!! I love the entire project! It sings! 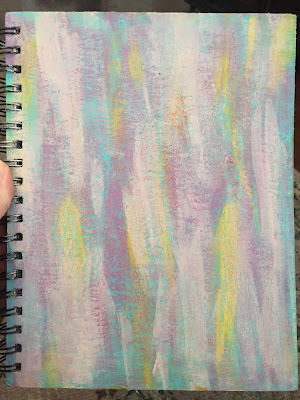 Fun journal cover, and I love your colors! The white doodling really makes those images pop! Fun challenge! Happy 2nd anniversary! Hugs! BEAUTIFUL! Ahhh - love your picture of the final background with the crackle glaze Donna - soooo YUMMY. Your colors are wonderful - such a lovely blend. And then your darling little butterflies and blooms are just the perfect delicate array to match your background. I really enjoyed seeing your creation! HAPPY 2nd ANNIVERSARY! j. Great journal page, love the painty background! What a fabulous background for your blooms!